Over the last couple of weeks I’ve spent time writing about my struggles with Binge Eating Disorder. You can read about my admission to the disorder here, some of the details of what I deal with on a daily basis here, what some of my “hidden talents” are here, and finally why I decided to come clean on my blog here. 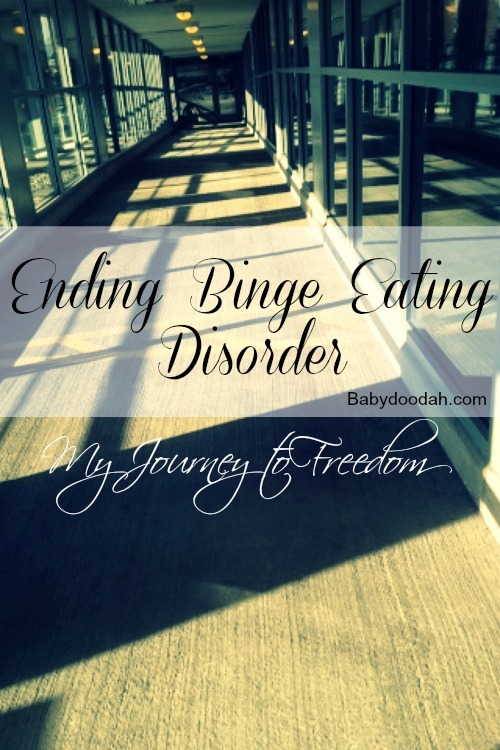 Today I want to talk about the loneliness that comes with having Binge Eating Disorder. Until very recently, no one knew my secrets. I’m sure that Seamus may have surmised that I was eating poorly, and way too much, but I never actually told him. It isn’t that I didn’t feel safe, or that he’d judge me, but simply that I was embarrassed. No one had known for so long, that someone knowing might ruin me. That I would no longer be able to look him in the eye, for fear that all he’d be picturing is me with an over-abundance of food. In June I decided to come clean. I had been doing a lot of research on the topic and ways to correct it, and one of the biggest rules of thumb is to be honest with those in your life, so that you can feel free. So, I did it. The first time I broached the subject with him, I mentioned it and that I thought I was dealing with it, but never mentioned the amounts or types of foods that I ate. I wasn’t ready for that yet, because telling someone that, was letting someone into my deepest and darkest secret. As time progressed, and Seamus and I discussed what was going on with me, I felt more comfortable admitting to what I had been eating. I don’t think Seamus ever judged me, but he was shocked, and it showed. I was so disgusted with myself. I immediately ended the conversation from going any further and changed the subject. I wanted to come clean, but I did not want to have to deal with the sadness and disgust that was bubbling up (if I’m being honest, I’m still not dealing with that). Weeks passed, and I brought it up again because I NEED his support in order to overcome this. I need someone who knows the deepest places of me, and loves me despite them. When we talk about it now he is understanding and comforting and tries to offer words of encouragement, or ideas for overcoming it, but in true addict fashion, I’ve told him I got it handled. Well, I don’t. I continue to eat poorly (this is an understatement), sure I’ll have a few great days and eat super healthy, but as days pass my resolve falters and I’m right back eating the same crap I was before. Only now I’m ashamed (again) to tell Seamus because I am doing exactly what I said I had handled. It is a very lonely place, where I am at right now. I have people around me who love me, but I still feel all alone and it hurts. It’s by no fault of their own, they show their support and tell me they love me, but it doesn’t change the inner turmoil that goes on in my head. Readers, I know some of this is getting super personal, but I hope that you’ll continue with me on my journey. I appreciate all of the support you’ve shown and continue to show. It means a whole lot to me! I’m linking up with Peas and Crayons, be sure to stop on over and visit! I think it’s amazing that you’re able to write about this! Thank you for sharing such a personal conflict. I hope that your journey goes well! Hi Stephanie! Thank you for visiting and for your support. I never dealt with this disorder but it seems like you are taking the right steps! Please don’t be too hard on yourself and take it one day at a time. You have my full support. I know you can achieve your goal! Hi Corinne! Thanks so very much for your kind words & support, it means the world to me! I am so *proud* of you for coming forth and taking the steps to heal your body, your mind and your health. You are a strong individual, which is showcased from the fact that you are putting this all out here for the world to read, so don’t forget that! Don’t let binges or mishaps stop you from the healing process. Learn from mistakes, identify triggers. Use the internet to find others with your condition (its common! You’re NOT alone!) and reach out to them to learn how they’re coping. Serena Marie RD recently posted…#WIAW I Get It. Its Winter. #StopSnowing! Hi Serena! I appreciate you visiting! You offer a wonderful idea, looking for support online. I truly hadn’t thought of doing that and was only using books and other sources of info offline. Thank you thank you THANK YOU for your kind and supportive words.